Long hair is absolutely gorgeous when it’s sleek and healthy. Take your long, straight hair to the next level by adding sweet layers, side bangs, subtle texture, or pull it back into a stunning updo. Adding even just a slight change to your straight locks has the ability to take it from every day to intriguing! 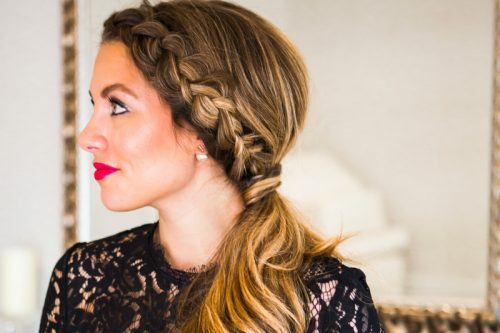 Take a look at some of our favorite long straight hairstyles for this year! Embrace your long straight hair and start polishing up your look with one of the amazing hairstyles shown here. Brush up on your blow drying and flat ironing skills too and you’ll be good to go! 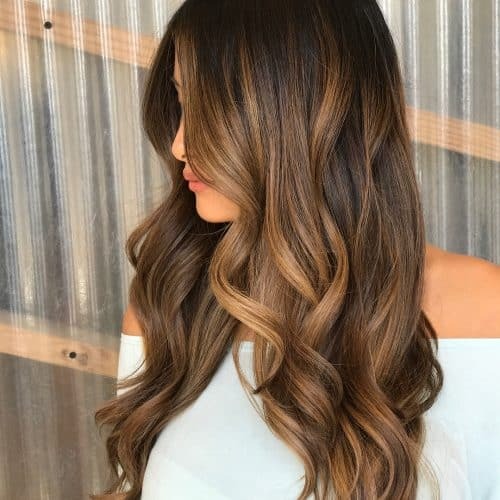 When combines with dark brunette shades, these lovely warm honey pieces do greatly on lightening the whole look and providing contrast for movement. Styling with waves can enhance these effects beautifully. Great hair is all about freshly cut soft and face-framing pieces. Notice how effectively these strands shape the face for a longer and brighter appearance. An exquisite layered cut with a full fringe make the face appear slightly longer and oval. Perfect if you have a round or short face and still want a straight bang. A super trendy hairstyle when you combine a metallic rose gold with the ever so classic lob. This look is so versatile that anyone can own it no matter the skin tone or face shape. 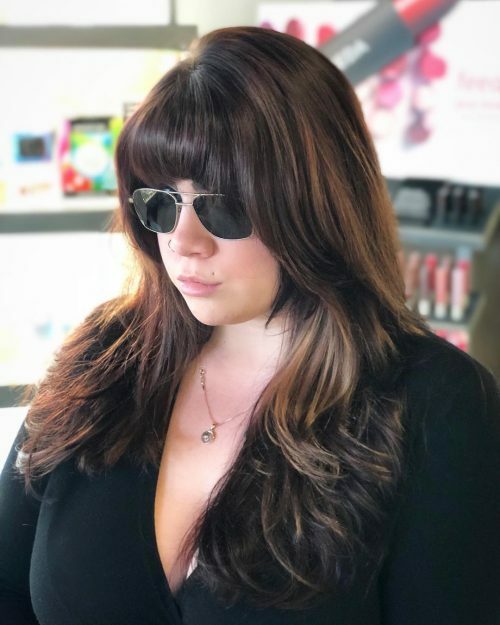 This fresh straight fringe complements these lengths without getting too heavy and provides just the right amount of fullness to the whole look. It’s a perfect yet simple cut for oval faces. Wear the very trendy sombre with long step layers like these for a soft dimensional look. Wavy ends create more depth and enhance the ombre effect of this hairstyle. Most of the times, it’s most perfect to just let long straight hair do its thing. This look works best if it’s amazingly shiny and straight, so better use the best flat iron even when you’re naturally straight. Purple is one of the hottest among fashion color ombres right now. An ombre on straight hair works better if you have thick hair that won’t need much volume to look stunning. There’s a lot going on with this wonderfully done waist-length hair with long layers, and we’re loving all of them! The mixture of blonde and orange highlights perfectly placed around the face softens her sharp jawline. 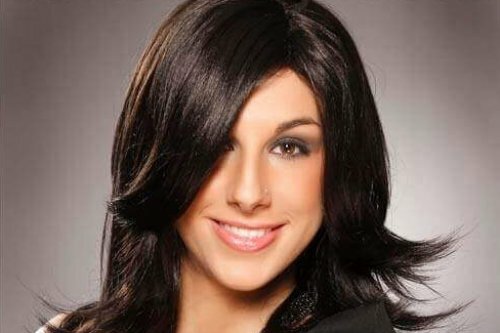 The most attractive way to wear a long jet black hair is to simply have it in layers. These gorgeous layers can soften angular facial features and add interest to the ends. This is a mid-length soft blunt haircut styled smoothly for a natural fall. The greatest thing about it is the soft edges which still look blunt, sharp, and fresh-looking but natural at the same time. This hairstyle can be worn by any client with any face shape and who doesn’t like spending too much time with their hair in the morning. A quick blast dry with a paddle brush is all you need. Tame frizz with emulsion/lotion on damp hair and few drops of shine serum to finish. 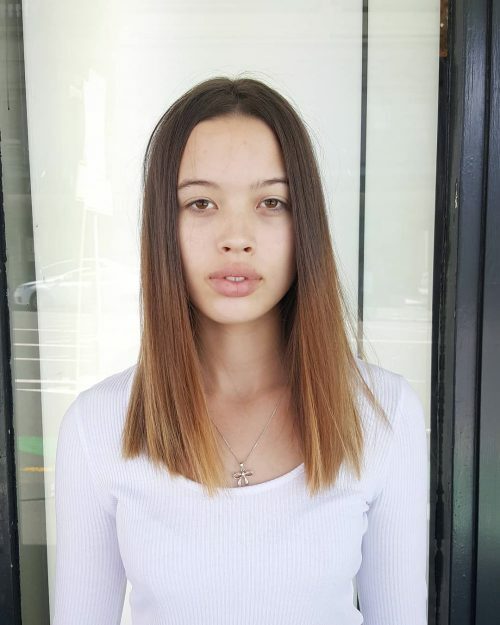 I would highly recommend this style to the client who has fine hair but loads of it that always just hangs and who is willing to have some kind of style without any layers or looking heavy. I love the sleekness, the healthiness, and the shine from this straight look. Lightly style the hair off the neck and back to prevent the natural hair from reverting, meaning curling up in its natural state. Also, comb and wrap the hair in a beehive at night to preserve the straight look until shampooing. This look is a sleek prime ponytail. What I love about this look is the neatness. She is 100% fly-away free. I strongly recommend great products that’ll give you a long lasting hold and shine! There are so many different hair types and products out there, so I would say use what best works for your texture. Also, maintenance is a must. Don’t be scared to tie your hair down or in some cases wrap it up to let the products set in. If you do that before finishing the look, I guarantee the best results! This is a high contrast, rooty, and alternative look. The style is smooth and polished with a soft braid to show off the dimension. The cut is a round shape with long layers (and a bit of texturizing) which is a conservative option for this client, given that her natural texture is actually quite wavy and extremely thick. It is a high maintenance color to have. 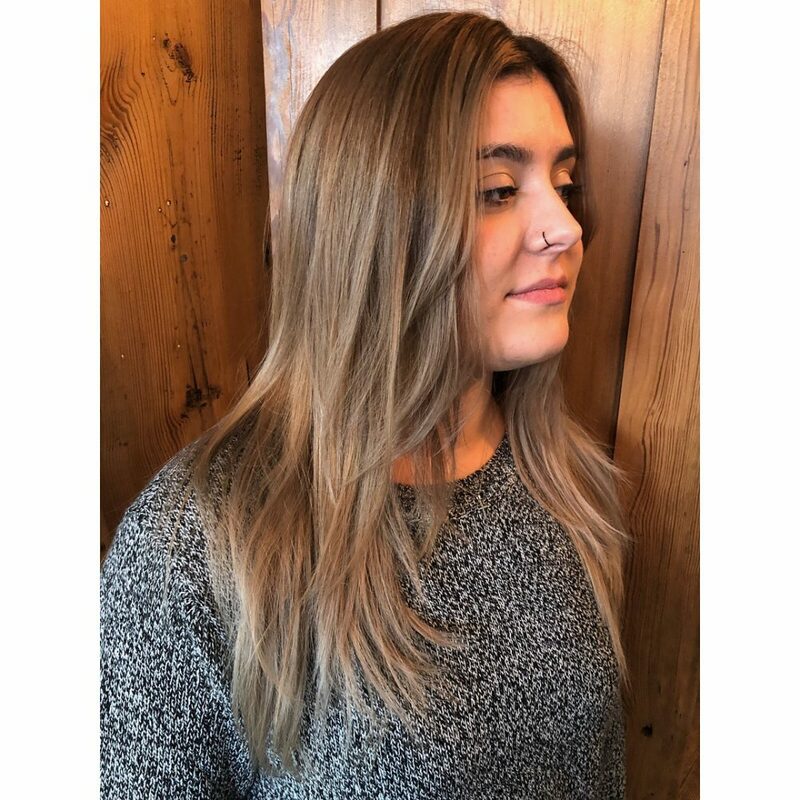 Given the pastel tones throughout the length, washing in cold water and using high-quality products are of the upmost importance as well as minimal heat styling to preserve this color. 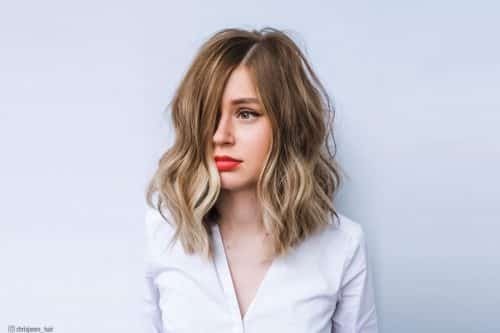 For hair type, it would be best suited for someone with a natural color level of 7 and up, where it would be easy to lift the hair to a level 10 to 11 which is necessary for pastel tones. Coarser and dark levels of hair may struggle to achieve this. As for face shape, I feel that the only face shape that would not benefit from this cut is an extremely elongated one since the length would only amplify that. This cool blonde is one of my favorites. 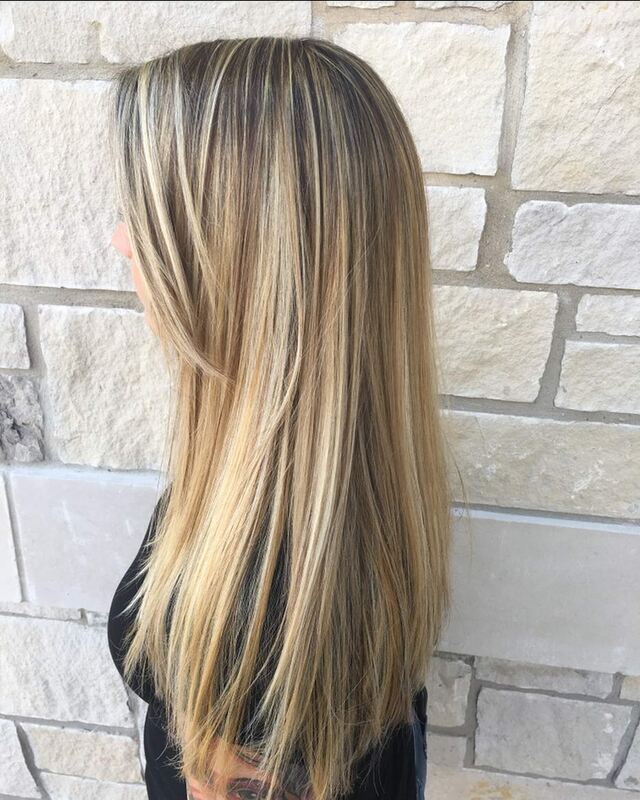 I love how the smooth finish just makes the blonde feel and look so silky and healthy. This blonde requires a lot of commitment and upkeep. I recommend using professional hair care products at home to keep the hair as healthy as possible. If you use any hot tools on the hair, do not forget to use a thermal protectant. Additionally, try to use a deep conditioner at least once a week to keep your long hair feeling soft, silky, and healthy! I would describe this look as a warm champagne pop with lots of face-framing to really open up her face and add texture to her cut. My favorite thing about this look is that it’s very easy to maintain and matches her complexion perfectly. The layers around her face make for a textured, yet simple look. First, consider the texture and integrity of your hair if you are considering this look. If you want something simple and easy to maintain, a gloss is perfect for you. It can re-tone and brighten an old, washed out color and add shine to smooth out the cuticle of the hair. 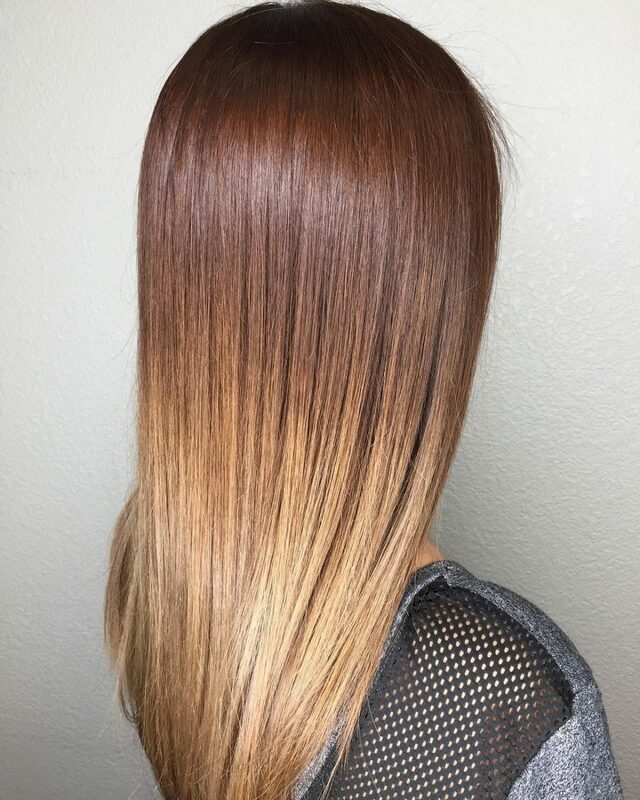 This is a very natural blended balayage. 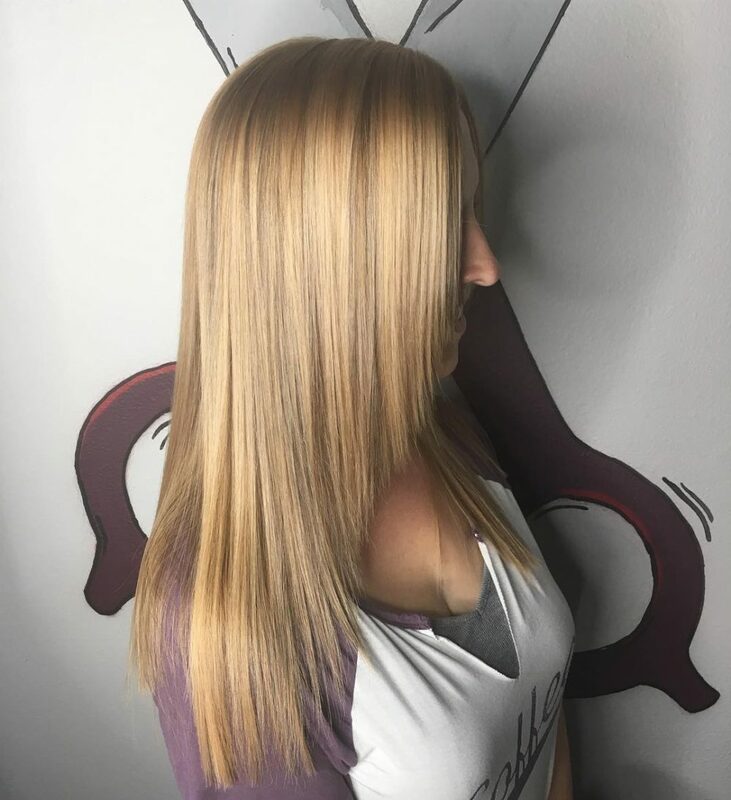 Because it was done with a technique that gradually blends her natural color to a beautiful blonde tone, it allows the client to go several months between color services because there will not be a distinct line when it grows out. This look is very easy to maintain. I suggest this color and haircut to anyone who is looking for something low maintenance and easy to maintain and style. This particular client’s hair blows out nice and straight, so I only used a smoothing serum at the end to control her flyaways. 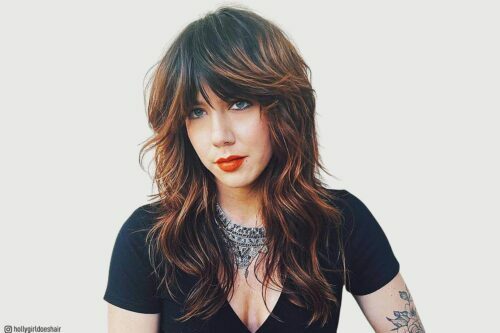 This look is a long layered haircut with balayage. I layered the sides and back of her hair in vertical sections, using the length as my guide and elevating the hair to a 45-degree angle. Then, using the shortest layer as a guide, I cut the top at a 90-degree angle. The square layers on top give the hair beautiful movement. My favorite thing about the cut is how versatile and low maintenance it is. It looks beautiful straight, blown out with body, or curled. This look is great for anyone with long hair of any texture. It’s low maintenance, yet gives the hair a great style. Blow dry hair in sections with a large round brush using a smoothing blow dry cream or volumizing mousse. Exact product use will vary depending on the hair type and desired outcome. The goal of this look was round layers. This look is very fun because there are several round shapes coming together to create the overall style. I first placed a rounded perimeter to begin the cut. Then I added the round layers. Finally, the face-framing added were also cut and styled round giving the overall cut another stylish element. 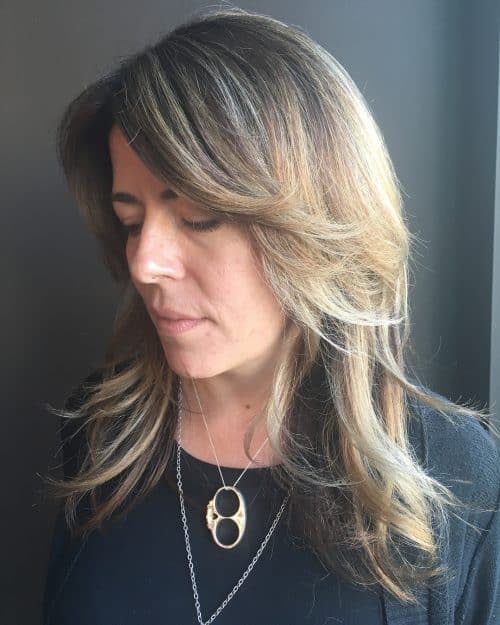 “So much round!” The straight, medium texture of my client’s hair allowed for all of the rounded elements to compliment each other in this soft, modern look. I am all for trying new things and combining ideas in different ways. For this cut, I wanted to play with using the same shape constantly throughout. This haircut, in particular, is a great cut for straight hair the rounded elements accentuate the hair type. She has an oval face shape which also compliments the cut. This is a great cut for one who doesn’t mind a little styling by creating some bend on the ends and some swooping movement back for the face framing. High Dive by R+Co is a great moisture and shine cream that gives this style a sleek finish. This is a rooted platinum blonde with icy hues. 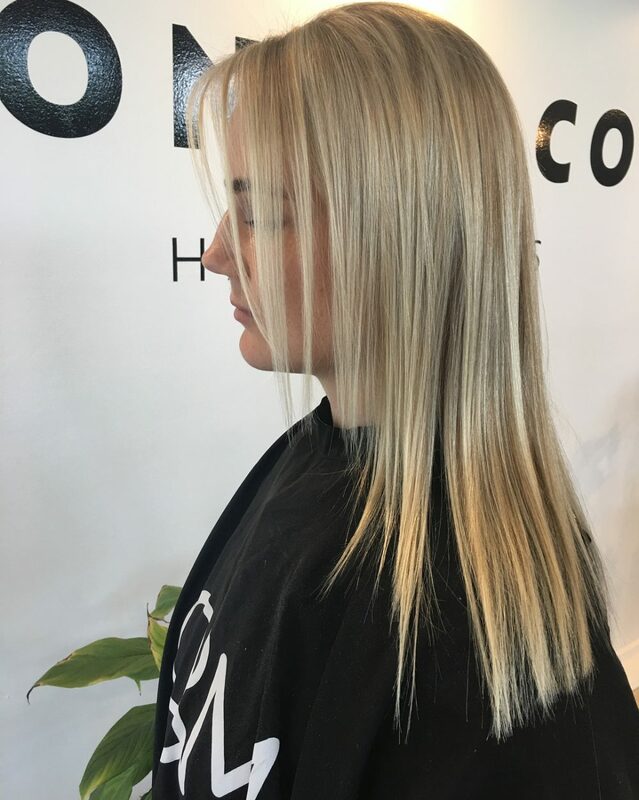 My favorite thing about this look is how this client can have that bright striking blonde we all love, with a soft and easy grow out. This look is great for clients with naturally light brown to dark blonde hair. I melted the blonde into my client’s natural root color to give her a seamless grow out. 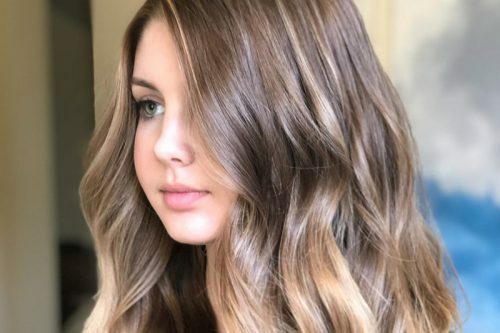 Most clients need to come in for a gloss refresh every six to eight weeks to maintain the tone they left with, and come in every three to six months for their next balayage service. 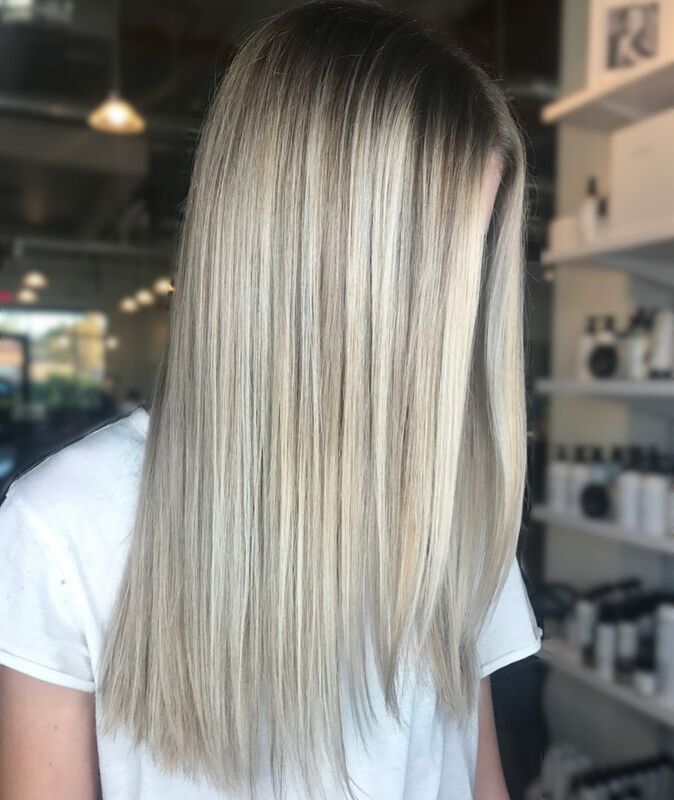 I recommend Fanola’s No Yellow purple shampoo to all of my blondes for at-home color maintenance along with other professional hair care products. I also used Elixir Ultime Serum by Kerastase for this look. This look allows the client to maintain length at the perimeter, but still create movement with longer layers throughout the interior of the haircut. My favorite thing about it is the face-framing that opens up the client’s features and complements the face shape. This haircut would work well for someone with a versatile lifestyle. You can wear this hair up, blow it out, or let it air dry. There are many options! For this particular look, I used Aveda Smooth Infusion Style Prep and Aveda Confixor Liquid Gel to maintain a frizz-free hold. I then used boar bristle round brushes for a round brush hard set. Once I let the curls cool, I removed the brushes and twisted out the hair to form the bouncy movement shown in the photo. I finished off the look with some Air hairspray for a soft hold throughout and control any flyaways. This is a simple look that can be worn every day, or elevated for a night out. The look in this picture can be described in so many ways, but to me it’s effortless. My client wanted to brighten up her long locks and get a cut/style that gave her styling options. Now she has the opportunity to wear her in many ways, but can also just throw it in a ponytail when needed. I love to try different brands and products, so it’s hard for me to choose. 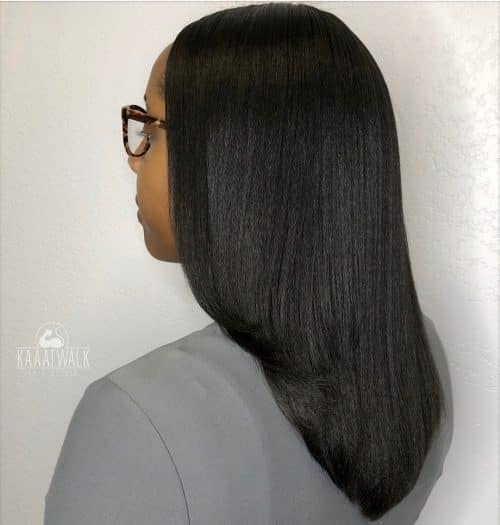 I will say that as long as you have a thermal protective spray (any professional brand), Quick Slip (Paul Mitchell), a serum/gloss for extra shine (for the final touches), and the help of a blow dryer and flat iron, then anyone can maintain and recreate this look. In my opinion, anyone can pull off this cut and style, but the color is maintenance. Someone with an on-the-go lifestyle might not want to keep up with the recommended six to eight week salon visits. That being said, this look can be altered for each client’s wants, needs and lifestyle. I think this is the perfect face-framing look for this client because it fits her face so well and it’s very easy for her to maintain on her own. It’s also a very trendy look right now. I used Enjoy’s shaping lotion while the hair was still damp. Then I used a blow dryer to create this look on my client. 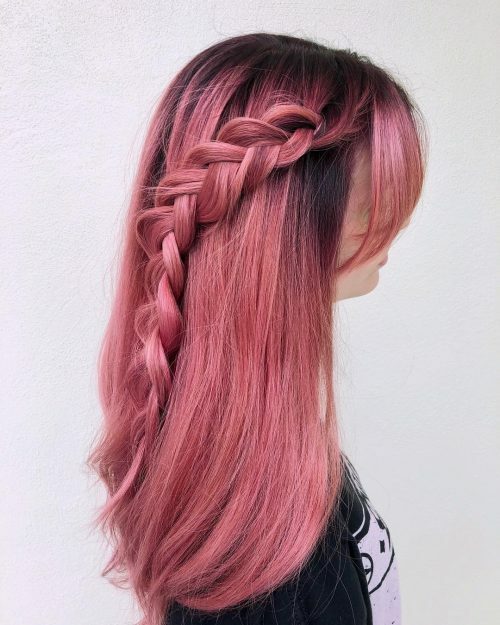 It’s a very easy look for my client to style on her own. I recommend this look for anyone that has medium to longer hair, as well as for someone that doesn’t want to much maintenance. It doesn’t require a ton to recreate this look once out of the stylist’s chair. I think it’s a great look for fall. It takes care of someone who is tired of having new growth from the highlights growing out. I used my base color and weaved in four foil packets in the nape area. To give me just a little more dimension, I applied to scalp to three inches out with 04NB = parts with processing solution Redken Shades EQ. I applied with a brush on the flat side. Next, I mixed 07NB with 07N = parts with processing solution. I applied this with the side of the brush, blending in the color. For the ends, I mixed up O9P with 09V Redken Shades = parts with processing solution. I put her under the dryer for 15 minutes, let her cool for five minutes, then shampooed. This look is great for just about anyone who likes a beautiful hair color. It looks best on shoulder-length and longer hair. It’s also great for someone who has overprocessed their hair and needs to give their hair a break from highlighting for a while. This look is ideal for someone who wants to go darker but keep the lighter ends. It’s definitely not a flat color. I would describe this look as a soft creamy blonde with a timeless solid haircut. I love a bright blonde for summer! To recreate this look, I would prep the hair with Aveda Smooth Infusion Style Prep and Damage Remedy Daily Hair Repair. Finish this look with Light Elements Smoothing Fluid for a sleek and shiny finish. This is a very versatile look and suits most face shapes and textures of hair. I would recommend this look to someone that likes a bright blonde.